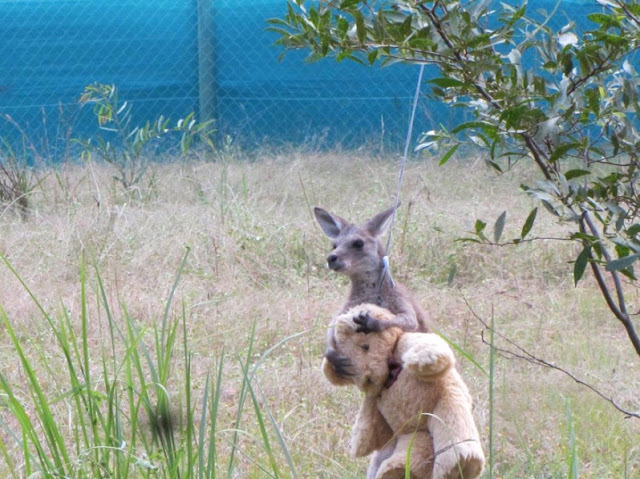 A heart-warming image of an orphaned kangaroo named Doodlebug cuddling a golden teddy bear has taken social media by storm. 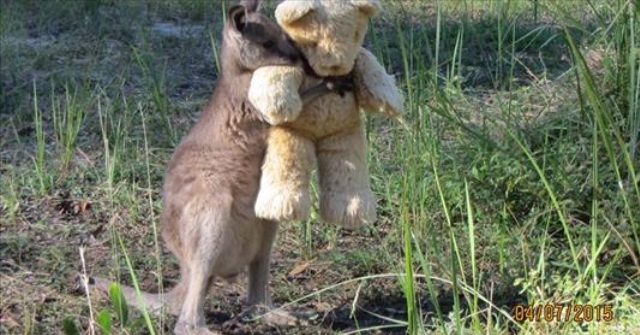 Tim Beshara, an adviser to Greens senator for Tasmania Peter Whish-Wilson, tweeted the photo of the eastern-grey kangaroo on Wednesday, explaining his wildlife caretaker mother took it from her home in the Northern Rivers region of New South Wales. 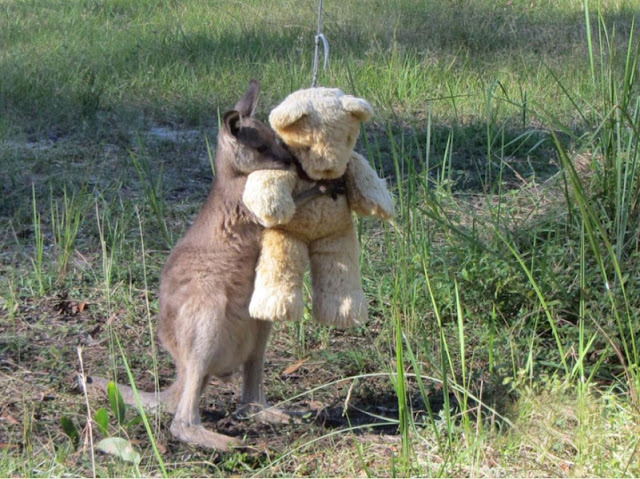 Beshara's mother Gillian discovered the orphaned animals responded well to teddy bears that she hung around the yard. Responses to "Adorable moment orphaned baby kangaroo cuddles teddy bear "